Hair styles, trends, and colors are always evolving. Women and men alike are always looking for the next hair fad as hair is so easily changeable. The problem is, finding products, hot rollers and flat irons, budget friendly solutions, and people to trust doing your hair. 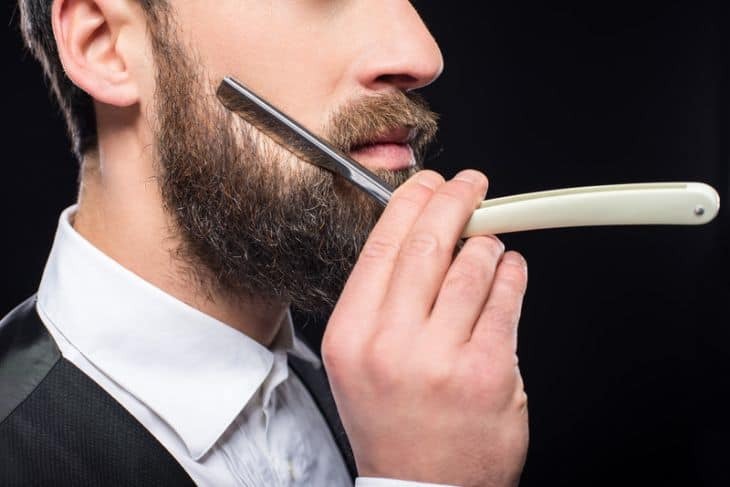 While most will pay to have professionals transform their hair, some like to stick to taking care of their own hairstyle and color. For those of you who do, let’s talk about hot rollers. Hot rollers are a simple solution to bouncy, curly locks. Some take minutes to revamp your hair while others tend to take longer. Some cost a fortune while others are extremely affordable. Some can be complex and hard to figure out, while others are easy to deal with. So, how do you pick the best hot rollers for all hair types? We made this list to help make your search a little easier. Whether you’re looking for a friend, yourself, or simple curiosity, this list will make your searching less strenuous. Take a look at our top 5 best hair rollers below. The Remington H5600D is the cheapest on our list but it is one of the best hair rollers available today. For this reason alone, this puts the Remington H5600D as a top competitor when choosing the right hot roller set for you! This 20-Piece multi-sized roller set includes three different roller sizes to give you the variety of curls you need for your best look.There is ready dot indicator on each roller that lights up when it has reached the right temperature. Sizes are ¾”, 1”, and 1¼”. Each size comes with color-coded clips to match easily and to keep hair in place to set-in your gorgeous curls. Like the others, the Remington H5600D heats in just 2 minutes but has unique feature for your peace of mind. The cool-touch roller ends keep you away from the heat! The rollers in this set are made to suit all hair needs perfectly. Ceramic rollers protect hair from damage by releasing negative ions to neutralize static and frizz and the exclusive wax core in each roller helps to retain high-heat and create long-lasting curls. Another great feature the Remington 5600D has is a travel-sized, compact storage case that is easy to take with you anywhere! Check out cool video below that demonstrates how to use it! The Conair Xtreme Instant Heat Jumbo and Super Jumbo Hot Rollers are again, super easy to heat up and takes just 85 seconds. These Jumbo and Super Jumbo Conair hot rollers can smooth hair or produce beautiful curls with volume. These rollers are equipped with technology that greatly reduces frizz and quickly styles your hair without any damage. Each roller is infused with ceramic material that retains heat and disperses it evenly. Ceramic technology provides anti-frizz and anti-static results with no damage. Twelve clips are included to hold the rollers in place, as well as 12 ceramic flocked rollers of two different sizes; four 1 3/4-inch super jumbo rollers and eight 1 1/2-inch jumbo rollers. To use, place ends of hair on roller and wind toward the scalp. Roll up hair firmly, and secure clip, crossing over roller. Do not place clip in roller slit. The firmness of the curl is regulated by the type/length of the hair and the amount of time the roller is left in your hair. For, firmer curls, leave rollers in the hair for at least ten minutes before removing. For soft, wavy curls, the rollers should be removed from the hair after a shorter period of time. To remove rollers, hold roller in one hand while removing smart clips with the other. Gently drop roller and let curl bounce back after roller has been completely removed. Let cool for one minute for a firmly set curl, and then style your hair into a look that lasts for hours. Conair Xtreme Instant Heat rollers is the perfect roller set for beginners or those wanting a more affordable option. See it in action below. The Caruso Steam Hair setter may be a little different kind of roller set than you may normally see or use. What makes these hot rollers different is the use of steam and each roller has to be individually heated before use. The tiny molecules of steam created by the hair setter penetrates the hair shaft reforming the chain bonds to create healthy, strong beautiful curls. These rollers set in 5 to 10 minutes or to achieve a 30 second curl, simply blow dry to evaporate moisture. Unlike the previous hot rollers and their hair setters, these rollers must be heated individually. To heat the hair setter, simply add water to the bottom, turn on, let heat up for, put roller on the roller post, let sit for 3-5 seconds, then touch to make sure it is completely steamed, then you may begin adding the rollers to parted hair. 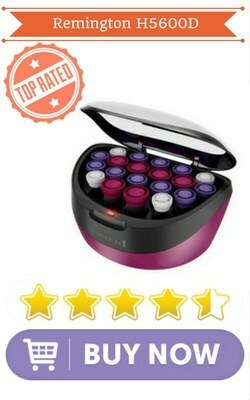 The Caruso C97953 Molecular Steam Hair setter comes with a styling guide, comb, clips, carrying case, 6 petite rollers, 6 small rollers, 6 medium rollers, 6 large rollers, and 6 jumbo rollers. This gentle roller cause least damage to your hair and is one of the best heated rollers for those with thick hair. The BaByliss Pro Nano Titanium Professional Jumbo set is the most expensive hot roller set on our list. You can purchase it even though it may seem pricey, you definitely get a lot of bang for your back with this set. The set is complete with 20 different sized velvet flocked rollers, 20 butterfly clips, and 20 color-coded metal clips. Nano titanium ceramic rollers generate gentle, far-infrared heat to eliminate damaging hot spots and leave hair looking healthy. This hair setter is safe and simple to operate, with an on/off switch and indicator light. They heat up quickly and also retains the heat to create long lasting curls without damaging the hair making them best suited for those with fine hair. The roller also have a color changing indicator dots to let you know once the rollers are hot. This Babyliss hot rollers set comes with 8 large (1 ¼ “), 6 medium (1”) and 6 small (3/4”) rollers to handle all types of hair easily. You also get 20 butterfly clips and 20 color-coded metal pins. These Babyliss hot rollers are one of the best rated hot rollers for long hair and also for those with fine hair. If you liked the idea of the previous Conair hot roller set, you may find this one to be just as effective. Infiniti Pro by Conair Instant is a great choice for someone looking for a fast heating set of hot rollers. 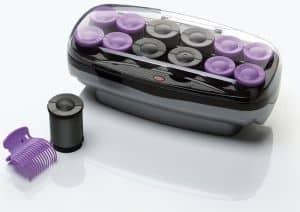 The Infiniti Pro Conair hot rollers heats the 20 rollers in just 2 minutes, making it easy and fast to achieve your desire hair, especially if you’re trying to trim down hair maintenance time. When it comes to creating different styles with the Infiniti pro, it has twelve temperature settings and 3 roller sizes: large 1-1/4 inch, medium 1 inch, and small 3/4 inch. The Infiniti Pro can be used on all hair types and features Argan oil fusion for conditioning and less frizz. Plus, it includes a bonus Argan oil. To use, simply slide the switch to the on position (a red light should appear) and allow hair setter to heat up with lid closed. The hair setter will be ready for use when the red light turns to white. For tighter curls, heat the Infiniti Pro longer. There are 12 temperature settings which can be controlled via a control dial. Once your desired temperature is achieved, you may start putting the rollers into your hair. For tighter curls, leave in for 10 minutes. For looser waves, leave in for less. Once rollers are removed, let hair cool for a minute and then set with desired product. You’re ready to rock your curls now! Technology- Most of the rollers use ionic ceramic heated roller elements that reduce frizz to give smooth curls. Foam rollers use steam to lock moisture to give long lasting curls. Some rollers also have a wax core that retains heat and create lasting curls. Safety features- Does the hair setter let you know when it’s heated? An indicator light is important so that you know when the rollers are ready and at their hottest temp. The Remington hair setter has a “cool-roller” touch feature that gives heat protection to your fingers. Size – Hot rollers come with a variety of roller size attachments. Know the roller sizes available with each product to ensure it will suit your hair type and length. Smaller rollers gives tighter ring type curls while the larger rollers give big curls or waves. If you have short hair then the large rollers won’t wrap around completely to give a perfect curl. Type- Generally hot rollers are available as ribbed or flocked types. Flocked rollers have a velvety surface while ribbed one comes with slots. Ribbed ones are easier to remove while flocked ones are easy to handle and protects your hair. Price- If knowing this is something you are going to use consistently and will help you save time in the long run, by all means splurge. But if you’re looking for a more affordable route, what features you get for the price make a huge factor in your decision. Time- How long does your hair setter take to set up? Does it heat all the rollers at once? If you’re looking to save time, something like the individually heated roller of Caruso hair setter may not be for you. When you’re needing to get to work in the morning, date night, or a kid’s big musical, being able to style your hair in a timely manner is crucial. All the hot rollers above offer some great features and are good choice for their different reasons. But, narrowing it down, there is a clear winner when it comes to the best price, features, time it takes, and more. Remington H5600D 20-Piece Multi-Sized Roller Set is our top pick for the best hot rollers. We hope this list gave you some choices and a peace of mind when it comes to picking out the right hair setter for you. Enjoy your gorgeous locks and have fun creating new hairstyles! Alexis Hattabaugh is a creative writer who has published numerous blog articles and manages social media content for various businesses. She loves to travel a lot and is an avid dog lover. She also works as content and social media manager at Central Kansas Crushers Academy.